Initially self-released by Sheer Agony in April 2012 as a tour EP, Unruly Sisters is being re-issued by Fixture Records on a limited run of 100 black cassettes with digital download cards. Unruly Sisters EP collects 5 new recordings since the band's self-titled debut 7'' (July 2012, Fixture), including an exclusive instrumental bonus track. 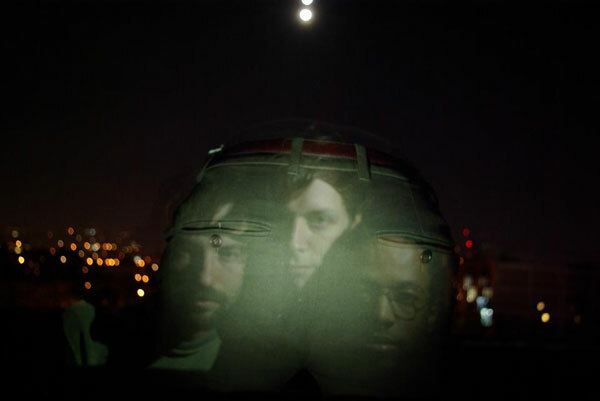 The EP further showcases the band's lean, idiosyncratic, and wry brand of guitar pop, while offering a hint towards their full-length album currently in the works. Recorded by Sheer Agony at The Silver Door, mixed by Jackson MacIntosh. "Tortoise and the Hare" stereo mixdown by Jackson MacIntosh and Peter Woodford at The Bottle Garden. 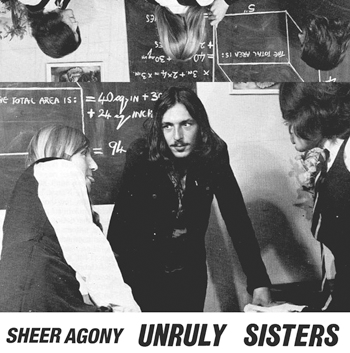 Sheer Agony 7'' is the self-titled debut record of Montreal guitar pop trio Sheer Agony. Formed in 2010 as the recording project of Jackson MacIntosh and Play Guitar bandmate Christian Simmons, Silver Dapple bassist Markus Lake joined the group in 2011. Sheer Agony released three singles that year, "Theme from 'Tortoise And The Hare'" on Khyber Compilation II, and "Introducing Flash And The Pans" and "Caitlin and Peter and George Harrison" on Fixture Compilation No. 2. This new 8-minute album, Sheer Agony's first label release, collects some of the band's earliest recordings, done at their practice space/studio/home venue The Silver Door and mixed by guitarist/lead singer Jackson MacIntosh with Peter Woodford (Freelove Fenner) at The Bottle Garden, Woodford's underground analog studio.